As a veteran of an Antarctic trek, Prince Harry is no stranger to the cold but while going bare-headed today, the royal seemed to feel the chill. The 30-year-old grabbed a young man’s bobble hat and either seemed to be readjusting the item or preparing to take it for himself. It was all part of a visit to Huntingdon Academy in Nottingham to discuss the Full Effect Youth Project in St. Ann’s. 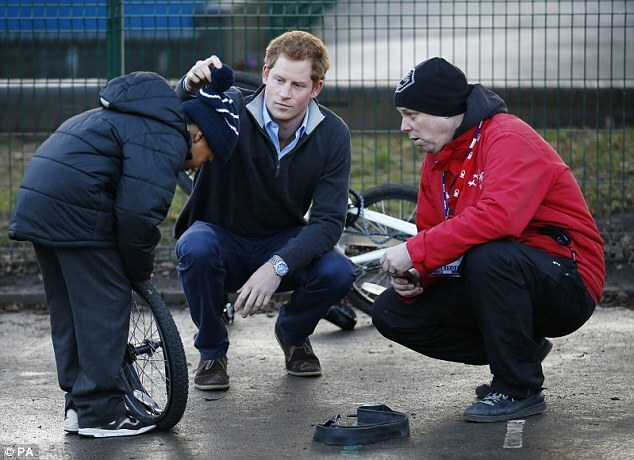 But Demani Cowin-Jenkins, who was wearing the blue and white-striped headgear wasn’t distracted from showing the prince and Mick Dawber, a worker with EPIC, a partnership of headteachers and youth workers, a bicycle tyre he was working on in the school’s bike repair shop. 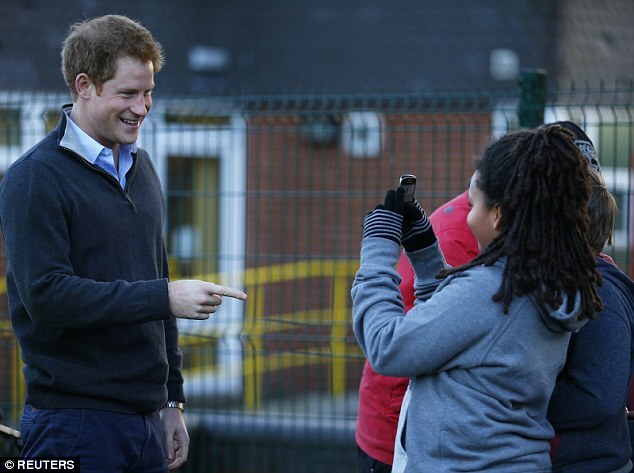 Prince Harry laughed and joked his way through the visit to discuss the programme which works with young people and and children from primary schools in St Ann’s to deter them from becoming involved in youth violence and gang-related crime. 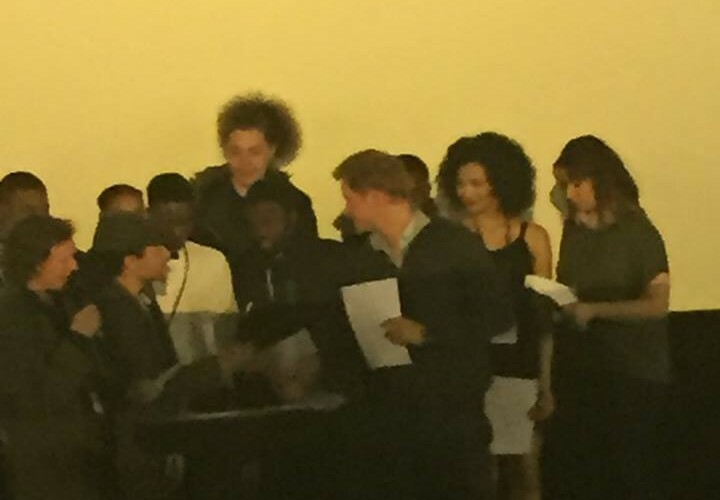 He met the stars and creators of a new film, Guillemot, based on the real-life experiences of young people and filmed in Nottingham’s St Ann’s area.